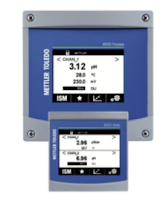 METTLER TOLEDO Process Analytics has released a second generation of M300 transmitters for pH, Conductivity, Oxygen, and Ozone sensors in April 2016. 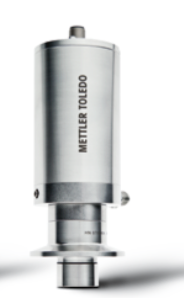 This release simplifies both the Process and Water M300 portfolio through the reduction of 26 unique model numbers down to ten. This is possible through new mix-mode functionality providing compatibility of both analog and digital Intelligent Sensors Management (ISM®) sensors to the latest generation. New M300 transmitters are easily identified by their high-contrast touchscreen display and advanced ISM diagnostic capabilities providing significant advantages to the product line. The multi-parameter M300Process transmitter line for pH/ORP, dissolved oxygen, conductivity and ozone measurements offers exceptional measurement performance as well as excellent user ergonomics. The high contrast black and white touchscreen together with the harmonized menu structure for all parameters, facilitates navigation and ensures easy and user friendly operation. On-line diagnostics information allows you to schedule sensor maintenance or replacement. The clearly visible diagnostic information lets you know when it’s time to do maintenance or calibration of sensors equipped with Intelligent Sensor Management (ISM) technology. The integrated USB interface allows you to use it for data logging or to store the configuration on a USB stick. Second generation M300 transmitters are direct replacements to first generation products. Instrumentation uptime and accurate measurement values are core requirements of in-line dissolved CO2 measurement systems used in carbonated soft drink facilities, breweries and boutique beverage producers. The stability and protection of the wetted sensor along with the instrument air supply are core requirements to ensure reliable measurement data. Instrument damage, incorrect CO2 readings, and poor quality can result from an unknown or undetected failure of the sensor. The following paper, courtesy of Mettler Toledo Ingold explains how intelligent and automatic sensor protection increases reliability, quality and performance. Safeguarding CO2 Measurements: How Intelligent and Automatic Sensor Protection Increases Performance from Alliance Technical Sales, Inc. This site is intended to provide interesting and helpful information about process control systems and control instrumentation. We will be contributing weekly posts of information regarding process analyzers, measurement & control, fundamentals of process control, and will present interesting applications. We hope up enjoy this site and make it a habit to check back each week.